I went out ‘chestnutting’ with my family today. We live in the south part of rural England and now that it’s autumn, the trees around our house are laden with sweet chestnuts (Castanea sativa) which are fantastic when roasted. 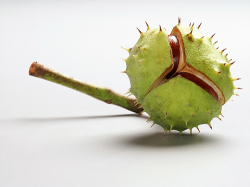 So I thought it would be fun to look at the scientific skincare properties of the chestnut, focusing on two different species – the sweet chestnut and the horse chestnut. 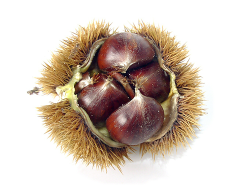 Firstly, let’s look at the two main species of chestnut used in skincare formulations. Sweet Chestnut (Castanea sativa) – a deciduous tree native to Europe and parts of Asia, which yields the edible sweet chestnut. It is also known as the ‘Spanish Chestnut’, ‘Portugese Chestnut’ and ‘Marron’ (French for chestnut). Sweet chestnuts are used extensively in food – think of ‘chestnuts roasting on an open fire‘ at Christmas, chestnut flour and sweet chestnut pure, to name but a few examples of how this fruit is used. Horse Chestnut (Aesculus hippocastanum) – a large deciduous tree native to southeast Europe, which yields the the horse chestnut. This nut looks a lot like the sweet chestnut which is how this species received its name. Despite the fruit being poisonous to horses, the discovery was made that the horse chestnut cured horses of their chest complaints. The horse chestnut is also mildly poisonous to humans and shouldn’t be eaten. 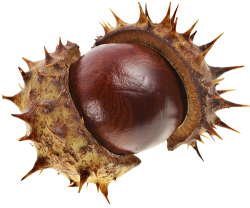 Instead, horse chestnuts are used as conkers. Although they are two different species, their fruit looks very similar. Both are brown with a light-coloured spot on them, so you must always take care when trying to identify a chestnut – particularly if you intend to eat them! Sweet Chestnut is probably the lesser known of the two trees when it comes to its skincare potential, but that doesn’t mean it doesn’t have the potential to pack a punch when used in cosmetics. Research has shown that sweet chestnut offers antioxidant properties. One French study in 2005 examined sweet chestnut leaf’s ability to inhibit free radicals and found that its antioxidant potential was at least on a par with that of quercetin and Vitamin E (Calliste et al., 2005). This may be explained by a number of compounds found in the leaves of the sweet chestnut – including rutin (more on this below when we look at the horse chestnut), quercetrin, apigenin, kaempferol and many others. Many of these antioxidant compounds are also found in the shell of the sweet chestnut, which provides an interesting opportunity to recycle waste from the food industry. Seeds (the horse chestnut itself) – high in saponins known collectively as ‘aescin’ or ‘escin’, flavonoids (mainly glycoside derivatives of quercetin and kaempferol) and starches, proteins and sugars. 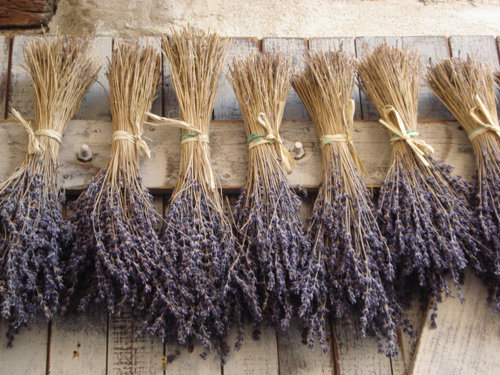 They also yield a fatty oil containing oleic, linoleic, linolenic, stearic and palmitic acids. Bark – also high in saponins, the bark contains a number of chemicals that aren’t found in the seeds such as scopolin, fraxin and esculin. Additional compounds such as allantoin and catechol tannins have been found in horse chestnut bark. Leaves – similar to the bark, the leaves are high in similar compounds. Derivatives of quercetin and kaempferol are also found in the leaves. Saponins have only been found in trace amounts. From a herbal medicinal point of view, horse chestnut extract has most commonly been used to improve poor circulation. The extract is typically taken orally but studies have also found that the topical application of gels that contain horse chestnut extract can help with varicose veins, phlebitis and post-thrombotic syndrome. One study found that the application of horse chestnut extract led to an increase in pressure of flow through both normal and constricted veins (Guillaume & Padioleau, 1994). Another reason for topical horse chestnut extract improving circulation comes from its strengthening of the connective tissue around the capillary system. Some of the most interesting properties in horse chestnut are the saponins known as ‘aescin’ or ‘escin’. 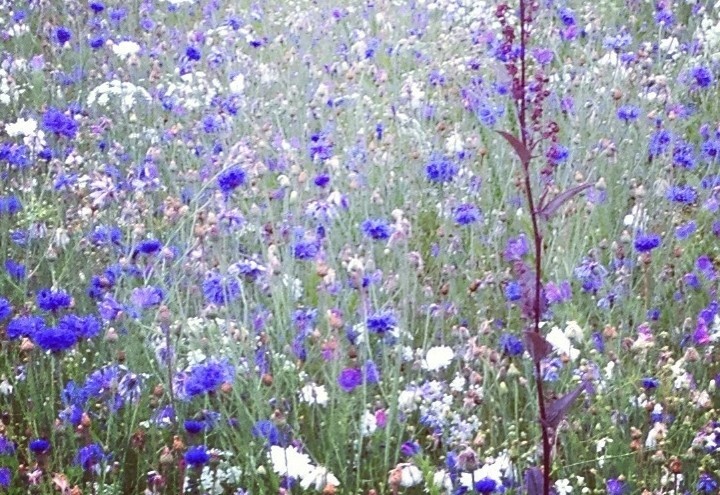 These cosmeceutical compounds have been found to possess potent anti-inflammatory properties. But more than that, escin has been shown to inhibit the breakdown of hyaluronic acid. Hyaluronic acid or hyaluronan is one of the main components of the skin, where it is involved in tissue repair. When you burn your skin in the sun, the cells in your skin stop producing as much hyaluronan, and increase the rate of its degradation. This is just one of the ways that too much exposure to the sun can lead to premature ageing of the skin. This escin saponin complex called has been found to play an important role in protecting the levels of hyaluronic acid in your skin. It does this by inhibiting the hyaluronidase enzyme that breaks down hyaluronic acid. Nonetheless, one study found that the overall biological effects of horse extract extract are unlikely to be caused by its escin activity alone. In fact, the supporting effect on skin tissue is most likely down to other horse chestnut compounds inhibiting even more enzymes (Facino et al., 1995). To put it differently, the whole plant is likely more powerful than its individual compounds in isolation. 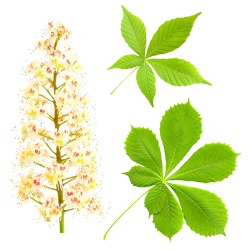 So it makes sense that the skincare properties of horse chestnut don’t end with its saponins. 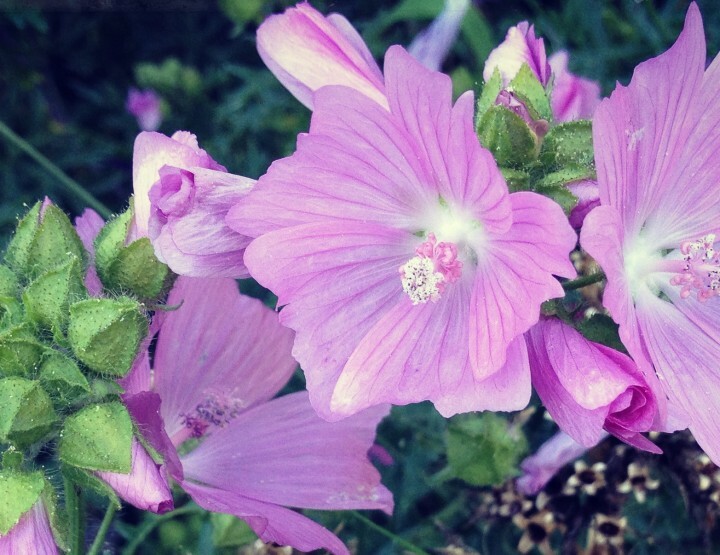 After all, the plant contains many other compounds that have great topical applications. One flavonoid, rutin, has radical scavenging, anti-bacterial and anti-viral activities. More than that, some of the compounds (including one called proanthocyanidin A2) in horse chestnut have wound healing, antioxidant, anti-inflammatory and anti-enzymatic properties (Wilkinson & Brown, 1999). 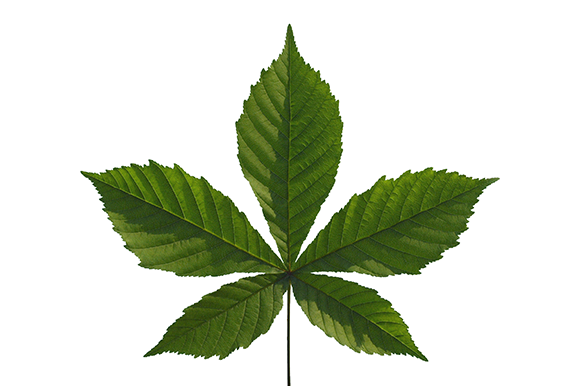 A 1995 Japanese study included horse chestnut extracts when reviewing the free radical scavenging potential of numerous plant extracts. They compared the results to that of L-ascorbic acid (Vitamin C, a well-known antioxidant) and α-tocopherol (Vitamin E, another well-known antioxidant). Their results showed that horse chestnut extract was almost 20 times more effective at absorbing superoxide anions (a free radical) than L-ascorbic acid and had great success at dealing with other types of free radical oxygen scavengers too (Masaki et al., 1995). Horse chestnut extract was also found to be comparable to Vitamin E in its ability to inhibit lipid peroxidation – in other words, it acts in a similar way in providing antioxidant properties to oils. But have these results ever been put to the test to determine horse chestnut’s anti-ageing potential on human skin? It turns out that they have. In 2006, another Japanese study carried out clinical testing on 40 female volunteers. They applied a gel formulation with 3% horse chestnut extract to the skin around their eyes three times a day for nine weeks. 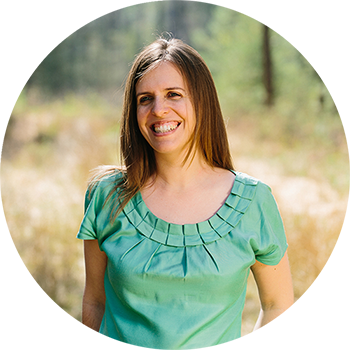 After six weeks, significant decreases in wrinkles at the corners of the eye or in the lower eyelid skin were observed (Fujimura et al., 2006). So we see that both sweet chestnut and horse chestnut have valuable roles to play when used in skincare products. You won’t easily find either of them for sale as cosmetic extracts, but it’s certainly worth exploring their potential for skincare formulations. * If you’ve never used this herbal extract before, always try a skin patch test first to see if you have an allergic reaction. 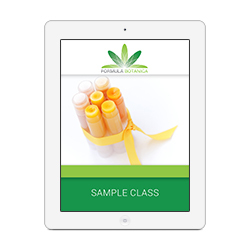 Some people experience contact dermatitis or allergic reactions when they use herbal extracts for the first time. It’s best not to experiment with new plants when you are pregnant or breastfeeding either – Horse Chestnut should not be used when pregnant or breastfeeding. Be sensible in how you use plants. 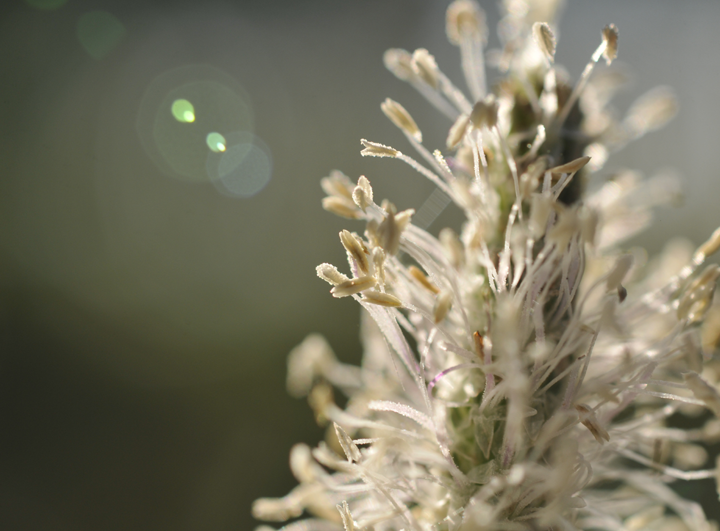 Have you ever considered using sweet chestnut or horse chestnut extract in skincare? Leave me a comment below!